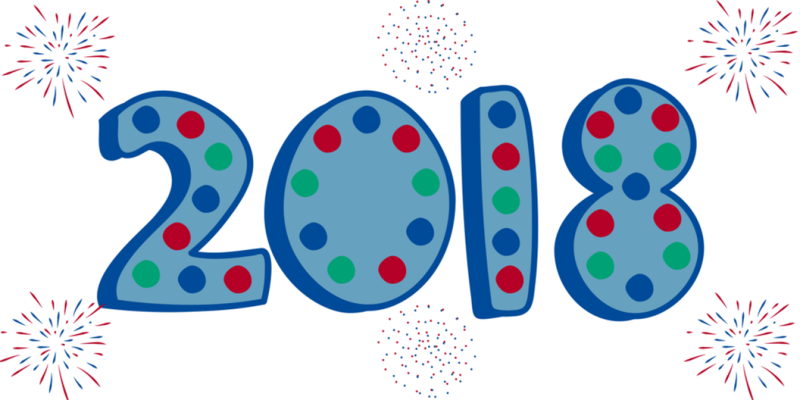 Welcome to the first edition of the EaP CSF newsletter in 2018! Thank you for being with us last year! We wish you a fruitful 2018 with many positive developments for the Eastern Partnership countries. In December, the Eastern Partnership Civil Society Forum's Secretariat launched the 4th Call for Project Proposals under the EaP CSF Re-granting Scheme (deadline - 28 January). 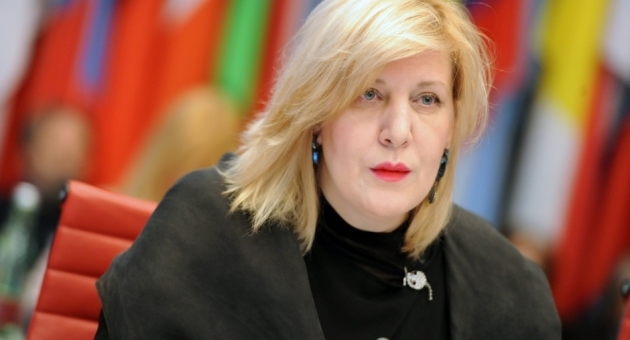 Ahead of her election as the new Council of Europe's Human Rights Commissioner, Dunja Mijatović responded to the EaP CSF questionnaire on her priorities in the field of human rights. The EaP CSF reiterated its concern over the imprisonment of Sheremet Award Winner Afgan Mukhtarli in Azerbaijan, who was sentenced to 6 years in prison. On 23 January the book "Eastern Partnership Index 2015-2016: Charting Progress in European Integration" was presented to the Brussels audience. It reflects the main challenges of the EaP countries with a strong focus on the European integration process. The Eastern Partnership Index 2015-2016 is a continuation of the European Integration Index developed by a group of more than 50 civil society experts from the EaP and EU countries. It reflects on the challenges of sustainable development, human rights and democracy, security and international cooperation in a tense region with a strong focus on European integration process. The book launch “Eastern Partnership Index 2015-2016: Charting Progress in European Integration, Democratic Reforms, and Sustainable Development” took place on 23 January at the Permanent Representation of the Czech Republic to the EU. 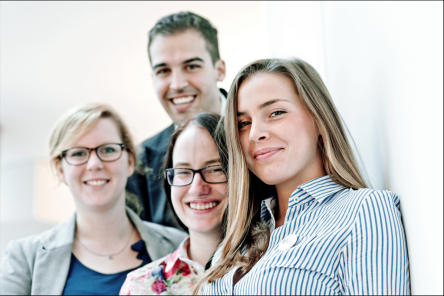 The EaP CSF Secretariat launched a call for projects by the EaP CSF members that can contribute to achieving the objectives of the organisation. It seeks to support the work of the five thematic Working Groups. The overall amount for this call for proposal is 270.000 EUR. Any project should cover at least three EaP countries with the aim of developing results with a regional perspective. Applications should focus on advancing reforms in the EaP countries and be related to the interests and needs of the wider public. Proposals must be submitted at the following email address: applications@eap-csf.eu by 28 January 2018. On 23 January Dunja Mijatvic was elected as the new Commissioner for Human Rights for a six-year term beginning in April. She committed to working closely with CSOs and encouraged member states to engage with the civil society on implementing ECtHR judgements. 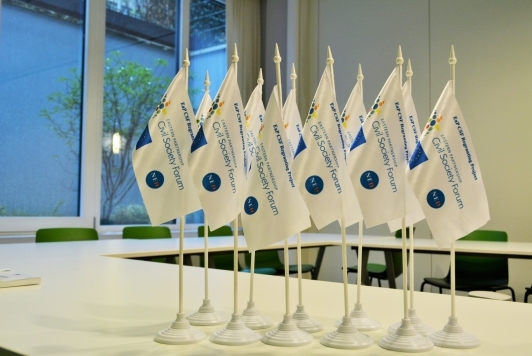 In December, the EaP CSF addressed a questionnaire to the candidates shortlisted for the post of the Council of Europe (CoE) Human Rights Commissioner. It included seven questions allowing to make an informed assessment of the candidates’ priorities and strengths in the field of human rights. Two out of three candidates - Mr Pierre-Yves Le Borgn’ (France) and Ms Dunja Mijatović (Bosnia and Herzegovina) - have sent their responses. 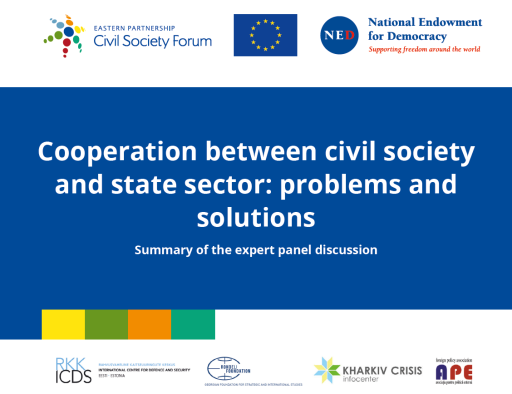 This EaP CSF aimed to give civil society an insight into the candidates vision for a position, which is of crucial concern for non-governmental organisations in those Council of Europe member states where the space for civil society is shrinking. The EaP CSF Steering Committee called on the authorities in Azerbaijan to drop all charges against Afgan Mukhtarli, an Azerbaijani journalist abducted from Georgia in May 2017 and taken by force to Azerbaijan, where he was accused of resisting authority, smuggling and illegally crossing the frontier. On 12 January, he was sentenced to 6 years in prison. Moreover, the Steering Committee urges the European institutions to ensure that the agreement currently under negotiation with Azerbaijan brings about a radical change in the behavior of the Azerbaijani authorities. Otherwise, negotiations should be put on hold and future financial support for Azerbaijan should be withheld. 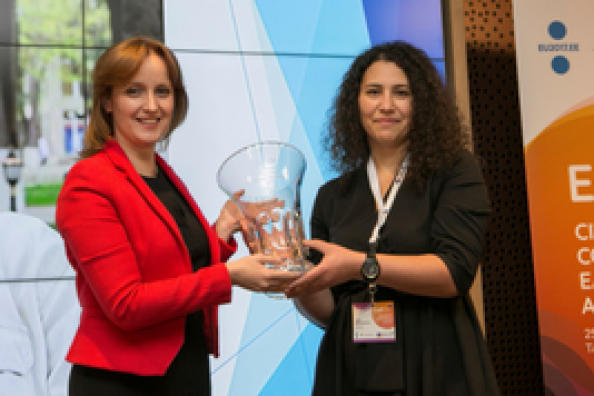 Three months after her assassination, the Parliamentary Assembly of the Council of Europe held a side event on 22 January in honour of Daphne Caruana Galizia, a prominent Maltese investigative journalist murdered in October 2017. She was internationally known among fellow journalists for her Panama Papers articles. 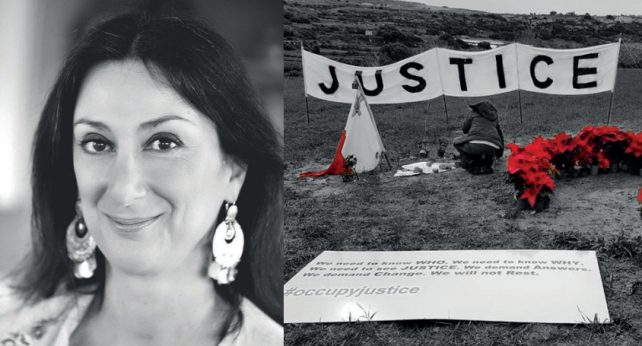 Caruana Galizia continuously reported on corruption in Malta and accused Maltese President, Joseph Muscat, of hiding payments from the ruling family of Azerbaijan. Politico named her one of the 28 individuals that shaped Europe future in 2017. The analytical recommendations on cooperation between civil society and state sector were produced within the project Cooperation Between Civil Society and Governments in Ukraine, Moldova and Georgia: Challenges and Way Forward supported by the EaP CSF Re-granting scheme.The panel discussion organised by the Prague Security Studies Institute in Kharkiv, Ukraine, focused on the key problems and new opportunities for improving this cooperation. 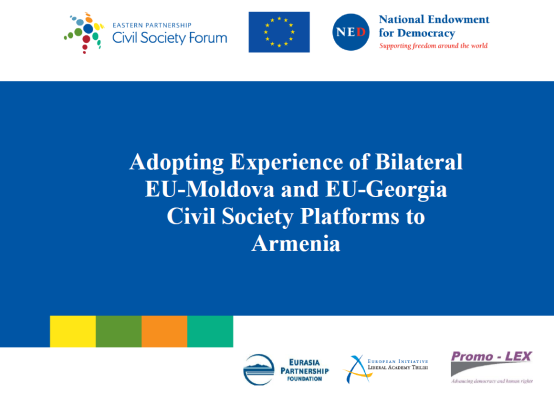 With the support of the EaP CSF Re-granting scheme the project Adopting Experience of Bilateral EU-Moldova and EU-Georgia CS Platforms to Armenia has produced a strategy for the civil society platform under the EU-Armenia Agreement through analysing the existing experience of the established platforms in Georgia and Moldova, as well as approaches, perceptions and opinions of the three involved stakeholders (the EU, national authorities and civil society. The Georgian Institute for Strategic Studies (GISS), in cooperation with Collegium Civitas and with funding from Black Sea Trust, offers a four-day educational programme in Tbilisi in April. The initiative aims to develop the skills of young people from Armenia, Azerbaijan and Georgia necessary to act as transformational leaders. It seeks to enhance regional cooperation at multiple levels and improve the quality of the debate on the European integration. Applications are accepted until 5 February.